Android and iPhone users, unleash the power of your phone and mobile devices with these top rated FREE music app tools!NEW! Interactive Website Music Flash Cards! 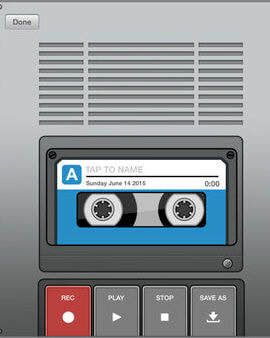 Tempo lite is the top rated FREE metronome app. ​Easy to use and super cool! Get it NOW. Click image above for Android phones and tablets. Here’s a fun one for the guitarist. Learn the string names as you learn how to tune your guitar. Also has a cool and easy to use metronome AND chord library. Works for acoustic and electric guitar! Find it in both Google Play and the iTunes store. Realistic and great sound has a realistic design and the sounds are great. 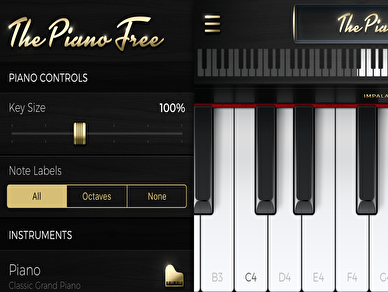 It’s easy to use and offers a fun way for beginners to learn piano keys, sounds and fingerings. 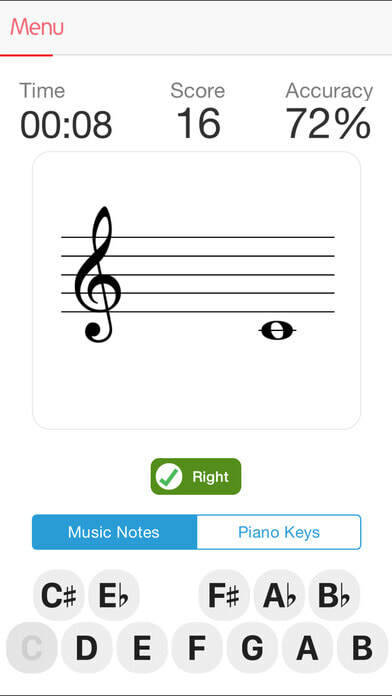 "The Piano" is a engaging musical app, perfect for home practice between lessons! Get it for FREE now ( (iOS app only). Learn to read sheet music, improve your note recognition, develop your speed and accuracy in fun timed sessions with Music Tutor. Choose to practice with notes in treble, bass and alto clefs. 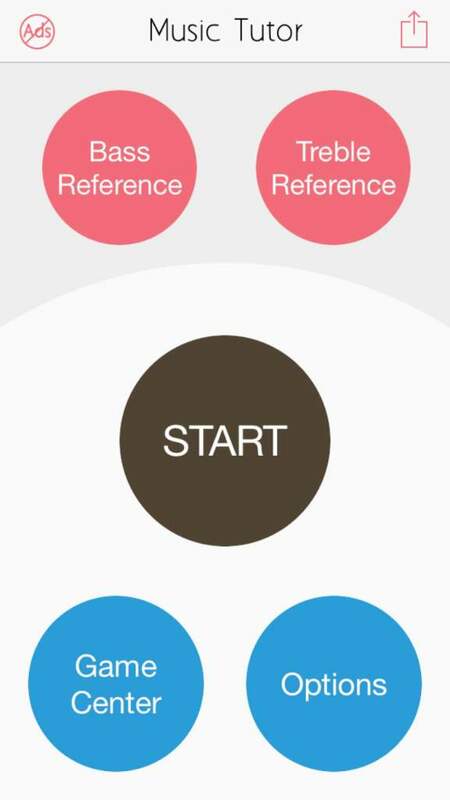 Find this FREE app it in the Google Play or iTunes store. 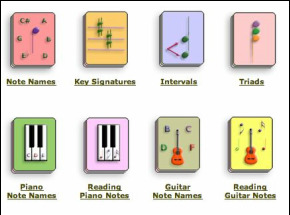 Created by Peter Hudson, these interactive music flashcards can be used by beginning music students who are becoming acquainted with key music rudiments, all the way up to intermediate and advanced students who wish to fill in gaps here and there or increase fluency with existing knowledge. (FREE). Yes it’s “retro” but it’s easy to use and has lots features too! Want to get better faster? Record yourself playing something you’re learning and listen back to what you played. It's a great way to know how your playing really sounds. Save each session and compare them over time to see how much you’ve improved! Also great for recording your own jam tracks for home practice. Look for it in the Google Play and iTunes store. "Moscow Music Academy ~ Helping YOU Make Music"